Cape Town to Nelspruit flight bookings with us you qualify to earn SouthAfrica.TO flight discount vouchers! Email us a writeup of your flight from Cape Town to the Kruger & we'll send you a travel voucher. Ask for help - our experienced travel consultants are itching to find you the best deal. For those tourists who want a quick hop from viewing the wildlife on the beaches of Cape Town to the wildlife of the Kruger, it's SA Airlink to the rescue - they're the only ones operating direct flights from Cape Town to Nelspruit. If you're ok with flights to the Kruger's other airports, there are also SA Express flights to Hoedspruit, and Airlink flights from Cape Town to Skukuza. Airlink flight SA8663 leaves CPT every day at 10h00, and lands in MQP at 12h35 (if all goes to schedule). Navigate to the flight price comparison tool on the left to compare prices with 1-stop flights. It is often cheapest to fly from Cape Town to Johannesburg and rent a car and drive through to Nelspruit. 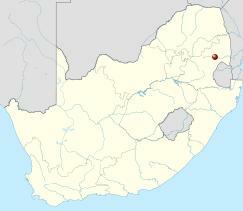 The driving distance between Cape Town and Nelspruit is some 1741km. 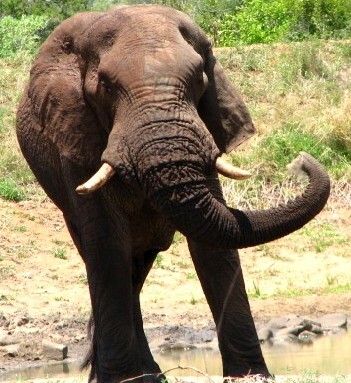 Federal Air offers charter flights to private game reserves in the Kruger Park. Having landed in Nelspruit and rented a car, you may want to stay in Nelspruit, in the Kruger National Park or in beautiful White River.